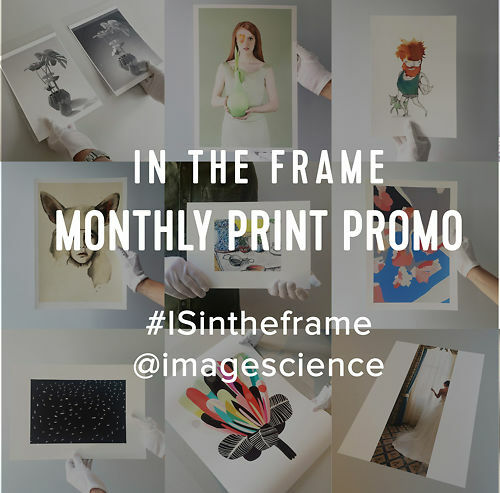 Jeremy is the owner of Image Science. With a background in both professional photography and computing, he handles all the technical stuff including development of our fine art printing, scanning and colour management processes. He also handles business development, and is the website maker & primary content writer. The environment around your monitor is very important to its performance. Objects in your immediate surroundings can reflect onto your monitor creating variances in light and colour. This is especially true with gloss coated screens, but it occurs with matte screens to some degree as well. For example, a light coloured bookcase next to your monitor will create a light patch on your screen, or a desk light (such as a print viewing light) will spread flare across your screen. Many people who think they have uniformity issues from their monitor panel are actually seeing brightness/colour variance due to all the things reflecting in their screen. Do a quick test now - get some black material like velvet or even just a dark coat, and surround your monitor with it (like you're under the dark cloth of a large format camera). Take a good look at a familiar image, preferably one with a lot of deep shadow detail. You will notice straight away how the shadows change and the whole image display improves. What can you do to solve these uniformity issues? Firstly, if you have a highly reflective (gloss) screen you should consider buying a monitor designed specifically for high quality imaging work. These monitors have matte, low reflectance screens with optical coatings to ensure they reflect the minimum amount possible. Until you have a monitor hood you probably won't realise all the benefits they offer. 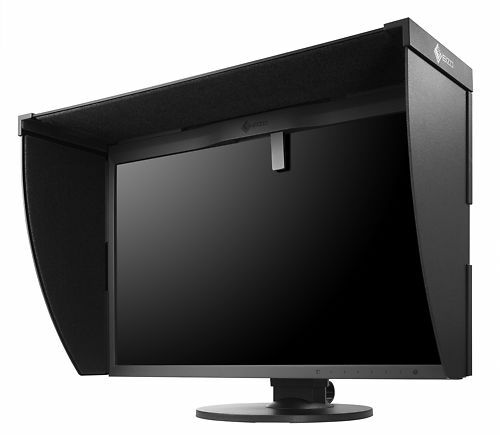 In addition, a monitor hood will help to stop all the reflections and glare coming in from the sides and above your monitor - from direct lighting in particular, but also from nearby objects. Until you have one you probably won't realise all the benefits they offer. Good ones are lined with black velvet so they create no reflections of their own. Strangely enough we've seen light grey and blue monitor hoods in the past, which are obviously pointless & indeed problem inducing in their own right! 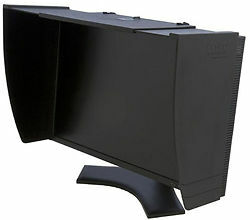 Monitor hoods are easy to fit and you will instantly see a distinct improvement in image display. In particular, the lack of glare/flare in your shadows will aid you greatly in accurately perceiving shadow detail - a key part of quality image making. Keep in mind, that when you calibrate your monitor, your calibrator is reading the shadow detail directly off the screen using the baffled sensor - so you need to be looking at your monitor in the same way as the calibrator for everything to work properly. If you're the DIY type, there is a good article here about making your own monitor hood, but personally, we think you're much better off buying a PCHood. It will only cost a little more and the fit and finish will be far superior. Suits most monitors up to about 25" Widescreen in size. See full listing for fitting details. I just like to say thank you for you fantastic work on a photo a sent for printing. It looks amazing, exceeds expectations. I was also wrapped it turned up in two days from ordering.